We have been talking for the past several weeks about food security. Today we take a look at 4 ways to increase food security easily and inexpensively. Each of these tips work well with the others and by incorporating them all, you are increasing your family’s food security exponentially. Sure, I know I am preaching to the choir here, but each and every edible plant you grow in the urban garden is one fewer item that has to be on your grocery list. When you are making decisions about what to grow, factor in the cost of fresh produce in your area. Green peppers for example, are relatively inexpensive while red, yellow or orange peppers are generally quite costly. Tomatoes are on the higher end of the price scale too, as are herbs. Prioritize your garden by cost and you are setting yourself up for higher food security and better taste at the same time. 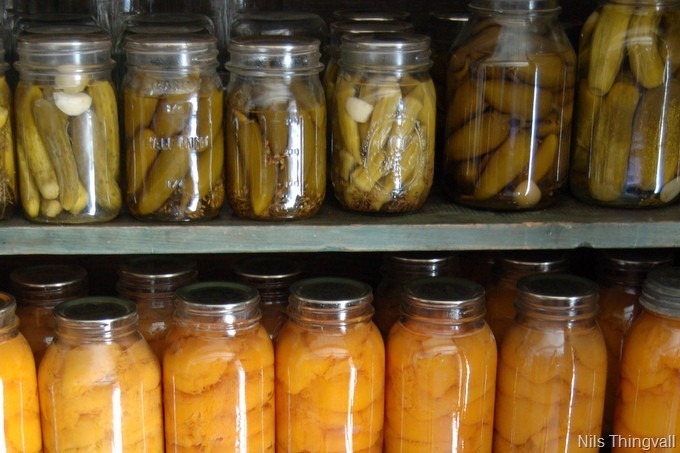 For true food security you really have to learn the basics of food preservation and storage. Whether you are growing your own food or just finding great bargains at your local farmers market, you need to know what to do when you have a surplus of fruit, vegetables or herbs so that they don’t go to waste. Reduce Your Reliance On Prepackaged Food. This ties in with #3 above, but the more you can reduce your reliance on prepackaged convenience foods, the better you will be able to manage your family’s meals in a food secure way. This includes learning to prepare meals from scratch as well as having ready-to-go make ahead meals that can be taken out of the freezer and reheated anytime.